Kevin Hart | Concierge Capital Management, LLC. Kevin Hart has spent his entire working career in the financial services realm. 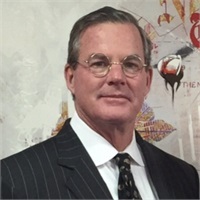 For the past three decades, Kevin worked on the institutional side of the business, assisting large insurance companies and other investment companies like American Skandia, AIG, SunLife Financial, Lightstone Capital Markets as well as other in their attempt to understand the retail markets appetite & lead a successful sales force to delivering that product to the retail public. After a long career, Kevin has scaled back his workload and now assists Patrick on consultative basis on legacy planning as well as financial advice. Kevin has 4 other children, Michael, Ryan, Caitlin and Brendan and is married to his wife of 35 years, Peggy. In his freetime, he likes to play with his grandchildren, go to cryotherapy sessions (loves it) and stay in shape.